DescriptionEnjoy Marsh, Ocean and Mousam River views from this delightful home. Short bike ride or drive to Dock Square or beaches. Built in 1901, this is the first time this home is being offered for sale. Comprised of a 3 bedroom, 2 bath main house with a bonus 1 bedroom, 1 bath apartment separate from the main house. Current apartment rent is $850/Mo. Granite countered kitchen with unique hickory cabinets. Also comes with a 2-car detached garage and workshop with storage above. DescriptionThis is a rare offering of a gently used and beautifully maintained 3BR, 3BA condominium in sought after Sandy Brook, a ''55 and over'' community of Riverbend Woods. The home boasts hardwood floors, a granite countered kitchen with breakfast bar, a spacious sun-filled living room with propane fireplace which leads to the lovely dining area and onward to the 4-season room overlooking the patio and wooded backyard. The 1st floor master bedroom with tiled bath, an additional bedroom/den, and an additional tiled bath and laundry area and an easily accessed one-car attached garage compliments the living areas on the first floor. The second floor features a spacious loft plus third spacious bedroom and third full bath. A real bonus is the semi-finished walkout basement with several egress windows. This is excellent additional square footage for all kinds of uses. Comfortable living in a wonderful neighborhood with walking paths and lighted sidewalks throughout. This is sure to please. DescriptionA rare findYour search is over! This is a lovely well-maintained home close to both town and beach. Feel the warmth from the wood tones, immaculate floors and updated interior. Enjoy the light open concept kitchen with island, granite surfaces and appliances, and beautiful dining area. Enjoy the wonderful front-to-back living room. The 2nd floor gives you a lovely front-to-back master bedroom and a new master bath with glassed in shower with stone floor. Two additional bedrooms make this just a great space. You will sure enjoy the family room above the garage with lots of space for family activities. Access to the family room is also the access to the rear brand-new sizable deck overlooking the spacious backyard. If that wasn't enough, there are finished rooms on the basement level for many types of uses. You can enjoy the most modern of heat and air conditioning with the new installation of heat pumps. All this in a subdivision setting with sidewalks. Don't let this one slip by. DescriptionThis lovely New Englander is just a pleasant walk to all that downtown Kennebunk has to offer - restaurants, bakery, shops, bowling alley, ice rink and more! Relax in the glass/screened porch. Inside boasts a bright interior - pleasant kitchen with pantry, dining or family room, and a generous-sized living room. Upstairs offers 3 bedrooms. The detached barn/garage is a nice bonus for storage above or workshop space. DescriptionLooking for a great location? You just found it! This lovely historic cape is within walking distance to Lower Village and Dock Square. It is also close to area beaches. This home offers two bedrooms and a single bath that can be used as a summer home, rental or a new future. Come take a look and see what the possibilities are. DescriptionThis is a warm and welcoming 2-bedroom 1.5 bath condo. Convenient entry to a living room with plenty of sunlit space and a cozy wood-burning fireplace. Offers a decent sized kitchen, dining area, 1/2 bath and laundry with lots of light with an atrium door to the outside patio. Upstairs are two bedrooms with a full bath. It offers a nice storage area in the attached direct entry, single car garage. Located between Kennebunk and the beach, this cape style condo is close to town, beaches, area dining and shopping. "When selling your home, the most important decision you will make is the list price. So when comparing Realtors, ask to see what's called their "Percent of List" statistics. That's the actual selling price as a percent of their original listing price. Don't be surprised if the Realtor who promises you the highest price when listing your house, doesn't deliver the highest "percent of list" results when your house actually sells.  For the past four years, Betsy has averaged 94% "percent of list" when you compare her actual selling price against her original list price. That's truly remarkable, particularly given the economy." Click here to view local market data. "We first worked with Betsy to buy land in Kennebunkport. When it came time to sell the home we built a few years later, Betsy sold our home very quickly for top dollar." 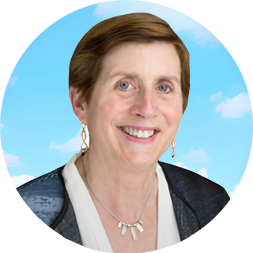 Hello, I’m Betsy and I have been working for more than 35 years with buyers and sellers and their real estate needs here in Kennebunkport, Kennebunk, and Arundel, Maine. If you’re looking to buy your first home, get just the right place for a growing family, or find your perfect retirement home, look no further. 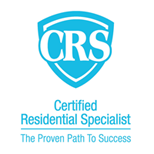 When it comes to buying or selling your home, I will give you attentive services, exceptional marketing expertise, and peace of mind through all the details, all backed up with a strong track record and loyal clients. In short, my promise. Learn more about Betsy’s local knowledge and experience by visiting our Community Page.